If you can believe such a thing, this is our very first milkshake recipe. 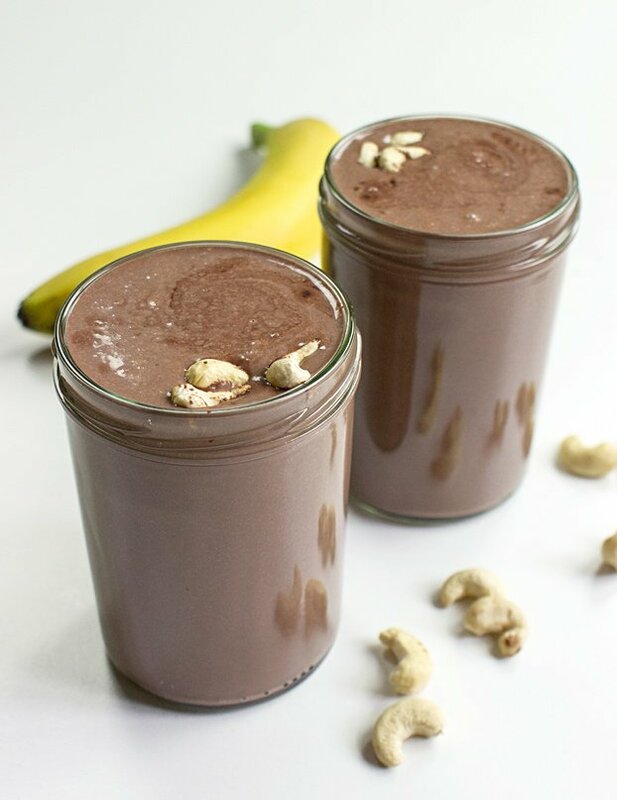 A chocolate cashew milkshake to be precise. It leaves us asking ourselves why we hadn’t made a milkshake before. Caro, Hauke’s flatmate, has already confirmed a fairly serious addiction to it. There’s something that’s supremely soothing and satisfying about a well-made milkshake. And not only is this one smooth, rich, creamy, chocolatey and ridiculously quick to make, it’s milk-free. Well cow milk anyway. Yep, this milkshake is totally vegan if you want it to be – not that you’d notice! 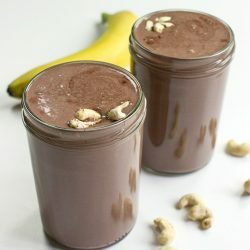 Even though we recommend soy milk for this shake, almond milk, rice milk and of course cashew milk all go great in this recipe as well. The blended cashews give it that extra thickness – and a whole host of health benefits. Of course, if you really want to use cow milk, that works too. Wanna know something crazy? Cashews aren’t technically nuts. They’re the seed of a fruit, as Tobuscus helpfully explains in his viral song. Nuts right? Regardless, cashews are generally treated as nuts in the culinary and scientific world. The good news (as well as being lower in fat than other nuts) is that they come with all sorts of nutritional benefits. 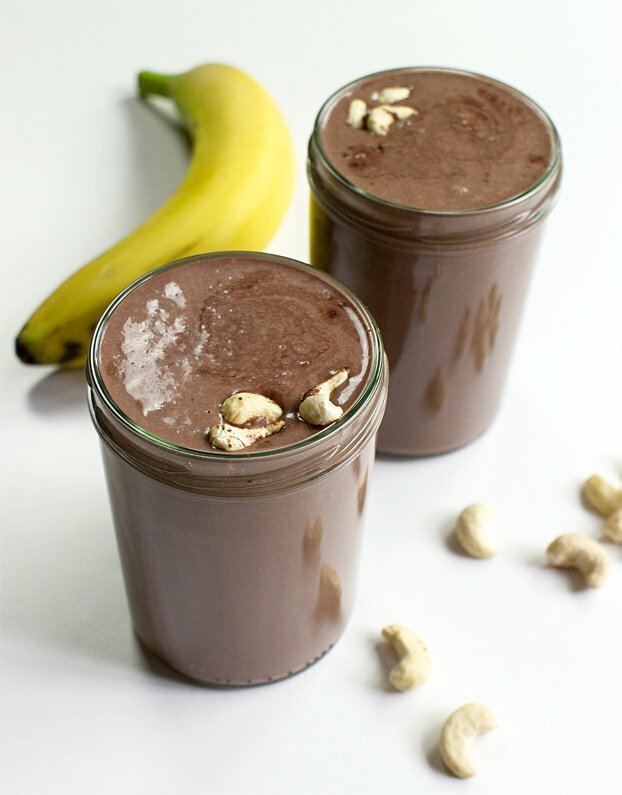 Why else do we love this Chocolate Cashew Milkshake? Not only for the great taste and range of health benefits, this cashew milkshake is fully customisable. 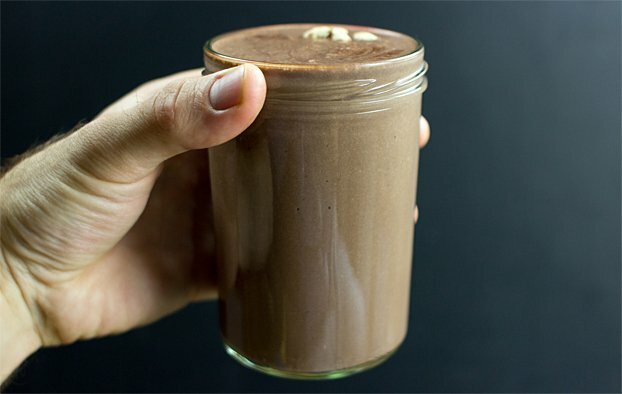 If you’ve been working out, or just want to up your protein levels, then it’s perfect for making with protein powder. I’m a personal fan of this one as it comes in all sorts of flavours from Rocky Road to Salted Caramel. If you’re after a vegan protein, this one should be right up your alley. If you’re worried about protein then head over here for more information about how much protein you really need and a free high protein meal plan. 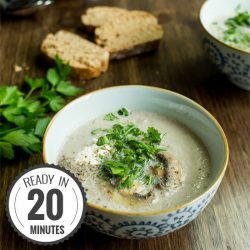 You can also check out this deluxe protein recipe ebook if you’re stuck for recipe inspiration. This deliciously smooth cashew milkshake can be made any way you like - just follow the simple instructions and you’ll be drinking a mega shake in five minutes! 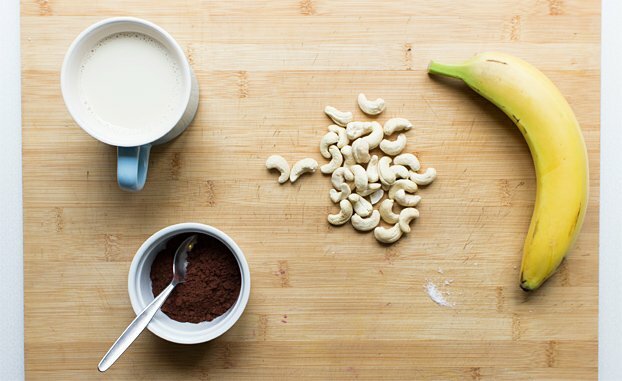 Add the milk, banana, powder, cashews and salt to a blender and blend for about three minutes until the cashews are nice and smooth. Let chill in refrigerator or drink right away! Easy, done! Hankering for more delicious drinks? 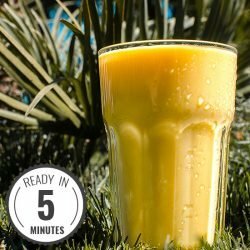 Mango Lassi is hard to beat, as is this ironman super smoothie! Check them out! Gosh!.. 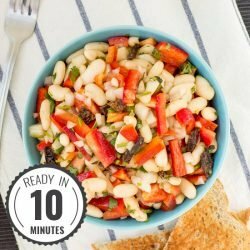 This one is just too good to be true :)… I have been all over your recipes past few days. Thanks! Glad you liked it, Aarti!